The DRAG TC Box MOD from VOOPOO requires 2 pieces 18650 battery for max 157W power. And when you go above 130W, the DRAG Mod will go to super mode. The DRAG TC Box MOD from VOOPOO requires 2 pieces 18650 battery for max 157W power. And when you go above 130W, the DRAG Mod will go to super mode. 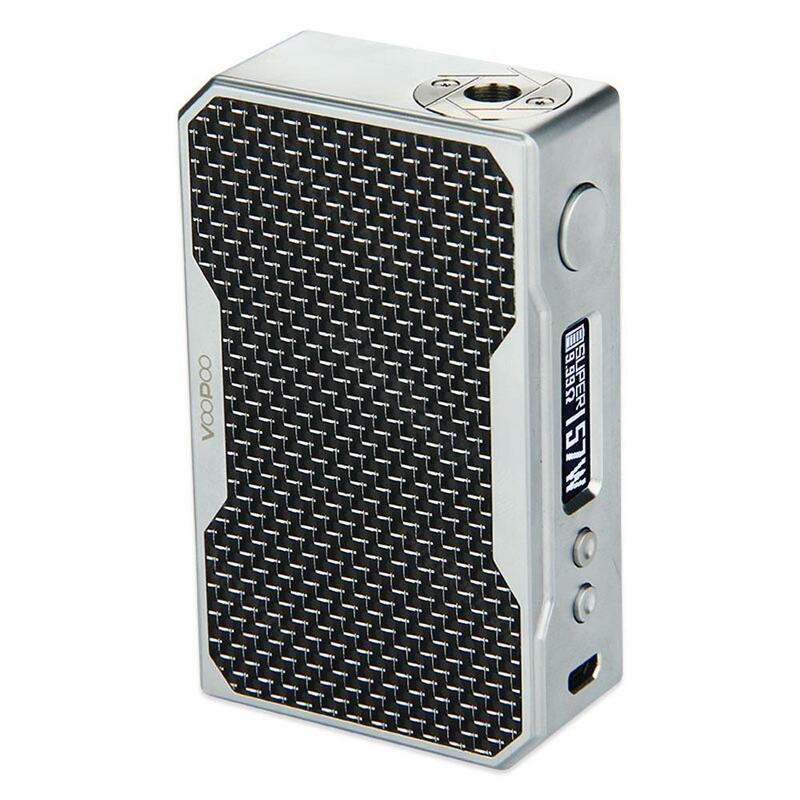 Also, this box mod has a unique different style of menu navigation system for easy using. And the screen on this is definitely above a lot of other screens, very easy to read no matter in daytime or night time. If you even shake it, there would be no button rattle or battery rattle. The button is also very responsive which can immediately fire, very nicely. 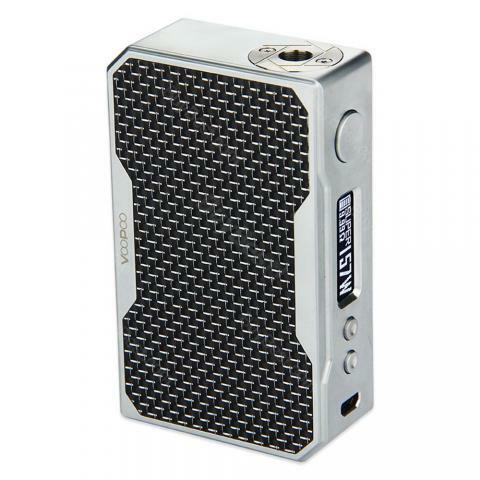 Most importantly, you can update the DRAG Box Mod with a PC. BuyBest is selling 8 attractive colors now. • Note: Purple and Green are both in resin editions,which has its own unique psychedelic pattern. Please understand and accept that we could not guarantee the product has the same pattern and color as that in pictures. •You can also buy VOOPOO Drag mini Kit, VOOPOO Drag 2 Kit on BuyBest. I typically don’t review products but my spouse and I are extremely happy with this mod. Our old ones were going through 3 pairs of batteries a day and losing flavor within hours of having new batteries in. The voopoo drag has held up wonderfully with flavor as the batteries lose charge, and has sustained a 10hr work window with consistent vaping (with the cloud beast). It’s everything that we were wanting and I would definitely recommend it to anyone who is looking for long lasting battery use, flavor, nice design and a great price! It really is a good MOD, got everything you need. The only little con. for me would be the firebutton, kinda lose but you get used to it. I would still recommend it. the product is very good. good delivery .thank you .i m very satisfied . Hahaha, thank God for sending me this brilliant gadget. I really love it. Tried already, cant expect a way much better one. The functionality of this kit is incomparable at this price. U deserve to have one for relaxation. I see many people using this Voopoo drag mod, I have been using this tc box for two weeks, so far so good. Fire up so quickly. Девайс продается в картонной коробке обклеенной синтетической кожей с тисненным на крышке названием DRAG и гордой подписью with Gene chip. В комплектации Боксмод DRAG, кабель micro USB, руководство пользователя и гарантийный талон. Девайс характеризуется большим током заряда, красивым внешним видом, быстрым откликом и уборной сборкой. Девайс красивый и довольно мощный. Absolutely qualified as a kit. This one is more like a high-tech device with lots of advanced components like reading screen and the self-updating system. Muy buen equipo, lo compre para regalar, tengo un en mi poder y es uno de los mejores mod del mercado a mi humilde opinión. this is the most professional site for vaping. the best deals, best mods. everything is a 5 stars. This beautiful voopoo drag mod would make a great gift for my wife, can't wait to get it. tc mode is easy to deal with. 120w power mode is my favorite.